Your browser is vulnerable to security! The Effect of the Improve of Posture by Tilt-table Stepping Robot Rehabilitation on Walking Ability in Cerebral Palsy. Effects of Rehabilitation Horse Riding on the Balance and Geriatric Quality of Life Scale of the Elderly. The Journal of Korean Society for Neurotherapy (J Korean Soc Neur Ther) engages and inspires as an international, interdisciplinary, peer-reviewed journal and deals with clinical neurorehabilitation in the areas of therapeutic intervention and functional recovery in all areas of neurological conditions including stroke, cerebral palsy, spinal cord injury, traumatic brain injury, neuromuscular disease, and other neurological disorders for human health and quality of life. The Journal of Korean Society for Neurotherapy publishes articles of global relevance for examination, evaluation, prognosis, intervention, and outcomes for individuals with movement deficits due to neurological conditions with a pediatric and adult specialties. The journal accepts original quantitative and qualitative research reports, theoretical papers, systematic literature reviews, clinical case reports, and technical clinical notes. This journal is a member of the Committee on Publication Ethics (COPE). 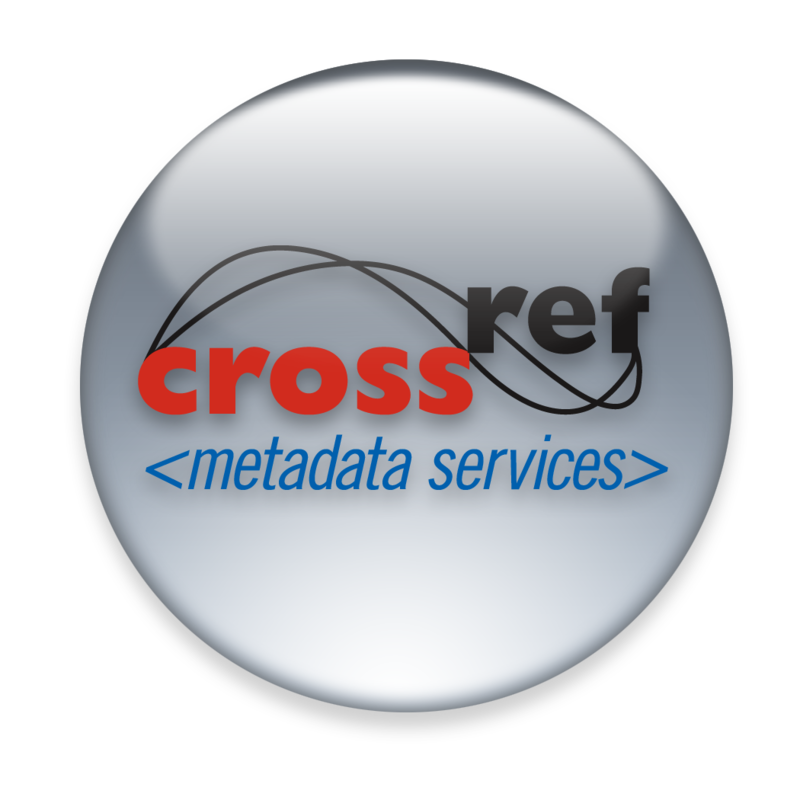 Mission statement: "Crossref's goal is to be a trusted collaborative organization with broad community connections; authoritative and innovative in support of a persistent, sustainable infrastructure for scholarly communication." At the beginning of 2000, the world's leading scholarly publishers joined to form the non-profit, independent organization, Publishers International Linking Association, Inc. (PILA), which operates Crossref. Details of the study area are classified as follows. Sports Rehabilitation, Occupational Therapy, Orthoses and Prosthesis, Rehabilitation Engineering, etc. Article types accepted are: Original Article, Review Article, Technical Note, Book Review. The associate editors decision regarding acceptability of the manuscript. Original papers will be accepted for publication with the understanding that they have not been published previously, nor are under consideration for publication, in any other journal. All authors specified by the Korean Society for Neurotherapy dues must be paid a full member. Paper, the authors review the progress of the membership of any payment has been completed and if begins. Should be written in Korean or English. Translation of medical terminology based on the use of a new term rehabilitation medicine and medical science textbook glossary of term is used. Other terms of the Medical Association 2001 revised fourth edition shall be subject in the revised medical terminology. When writing Korean papers if you do not have proper translations of medical terminology, proper nouns, sports, treatment and test methods, units, etc. are used as original language. With translations, but the meaning is not clear if the term is used as the first translations in parentheses in the original language is indicated by the following. Only translations is used thereafter. On terms that are commonly used in English notation should be avoided. When writing English papers, English abbreviations used to minimize. Initially used as the source language and then use the abbreviation in parentheses. After only abbreviations is used. Abstract: Outlining the Purpose, Methods, Results, and Conclusion of the paper. All publications will be in English, not exceeding 250 words and key words. Review : The science editor assigns each manuscript to an associate editor, who will be identified to the author. Case Report: Concise and directly related to a case described only in part. Discussion: To highlight a case of focusing on parts, tedious literature should be avoided. Manuscripts should comply with the following provisions. If incongruity manuscripts on guidelines send back, and in this case, the manuscript must be received by modifying the back. Please note the required content of the whole file and the required order of that content. Manuscripts should use MS word or HWP, certainly that was written to provide manuscripts form by Korean Society for Neurotherapy website. Editing the paper: A4 paper is used to download the manuscripts form, use the default values. If contribute the article written in English was present an English sentence reform certification. Title of manuscripts was described Korean and English title. Korean title was described within 30 characters, English title was described within 20 words. With subtitles, of wood at the end with a colon (:) after displaying the subtitles are described. Number of pages, number of tables, figure number, the number of references to be described. Present the authors' affiliation addresses (where the actual work was done) below the names. Indicate all affiliations with a lower-case superscript letter immediately after the author's name and in front of the appropriate address. Provide the full postal address of each affiliation. Clearly indicate who is willing to handle correspondence at all stages of refereeing and publication, also postpublication. Ensure that telephone and fax numbers are provided in addition to the e-mail address and the complete postal address. Before the accepted manuscript is published in an online issue. Requests to add or remove an author, or to rearrange the author names, must be sent to the Journal Manager from the corresponding author of the accepted manuscript and must include: (a) the reason the name should be added or removed, or the author names rearranged and (b) written confirmation (e-mail, fax, letter) from all authors that they agreed with the addition, removal or rearrangement. 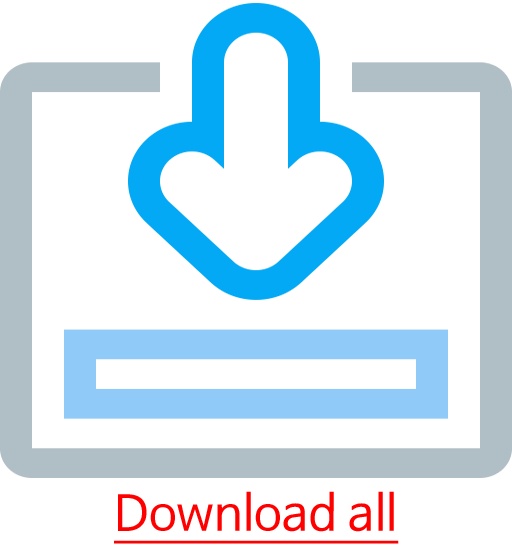 In the case of addition or removal of authors, this includes confirmation from the author being added or removed. Requests that are not sent by the corresponding author will be forwarded by the Journal Manager to the corresponding author, who must follow the procedure as described above. Note that: ич Journal Managers will inform the Journal Editors of any such requests and иш publication of the accepted manuscript in an online issue is suspended until authorship has been agreed. Abstract should be written in English and should give readers a short, concise of your Purpose, Methods, Results, and Conclusion, not exceeding 250 words. Also any abbreviations or references are strongly discouraged. Readers of your abstract will sometimes not read the paper as a whole, at least three keywords are strongly encouraged in order to give them an overall pictures of your work. All manuscripts reporting on randomized controlled trials must include a statement that the authors received approval from a properly constituted ethics committee and the authors should specify that written informed consent has been obtained from each subject or patient. In the manuscript, authors should provide the name of the institutional review board (IRB), or other similar body that approved the study. Studies on human subjects should comply with the ethical standards of the Declaration of Helsinki (1975, revised 1983). Font and paragraph form will accept the downloaded paper form. Manuscript is in the following order: Introduction, Methods, Results, Discussion, References, tables, figure and figure description. Step number of text: 1., 1), йч, ич should be in order. Description of the equipment used in research on the text is described as follows. Equipment name and manufacturer in accordance with the manufacturer's notation can be displayed in English and Koreans or country should be listed in Koreans. Study subjects for the experiment in the way of acceptance must be included (except animals). If more than three authors: Park et al5, Katz et al6 without inserting tables and figures in the text of references should be written in a separate page at the back. The position of tables and figures in the text should be listed as follows. Displays the results were found (Table 1) (Table 1, 2) (Table 1, Figure 2). At screening, if cited literature is not detected, the editorial board may be requested the author on relevant reference. For a regular journal, reference consist of the author's name, title of paper, title of journal, year of publication of journal, volume of journal, number of issue, and first and last page numbers of the paper. The number of the author is if less than three people write in all, and if more than four write until three authors. The others followed by "et al". Behrman AK, Lawless-Dixon AR, Davis SB et al. Locomotor training progression and outcomes after incomplete spinal cord injury. Phys Ther. 2005;85(12):1356-71. Ory M, Resnick B, Jordan PJ et al. Screening, safety, and adverse events in physical activity interventions: collaborative experiences from the behavior change consortium. Ann Behav Med. 2005;Suppl:20-8. For a book, reference consist of order of the author's name, title of book, number of edition (first edition is not list), place of publication, publisher's name, year of publication of journal, and first and last page numbers of book. Kitchen S. Electrotherapy: Evidence-based practice. 11th ed. New York, Churchill Livingstone, 2002:165-186. Mark S, Williams T. Review of physical therapy. In: Johnson HS, eds. Exercise and Physiology: Incidence of disease. New York, Churchill Livingstone, 1996:789-810. Hong GD. Ipsilateral movement deficits of upper extremity in stroke. Daehan University. Dissertation of Master's Degree. 2002. Hong GD. Ipsilateral movement deficits of upper extremity in stroke. Daehan University. Dissertation of Doctorate Degree. 2002. Please use numbers in parentheses after the punctuation, and check that it corresponds to the correct number in the reference list. References: Vancouver style reference citations are represented as textual notes, as a numeral enclosed in parentheses . Abbreviations that are used only in tables, appendices, or figures should be defined in the table, appendix, or figure legend. All abbreviations must be defined upon first mention in the body of the manuscript. Do not use abbreviations in the title of a paper, in the abstract, or keywords, unless the full version is very long and clumsy or the abbreviation is better known than the full term (e.g. DNA). Abbreviations may be used in headings and subheadings if they has already been defined previously in the paper at first usage. If in doubt, spell out. Define an abbreviation the first time that it is used (except in the Abstract): write the term out in full followed by the abbreviation in parentheses. Use the abbreviation consistently thereafter, including at the start of sentences. For plural terms, use plural abbreviations. If you need to abbreviate months or days of the week (for example, in a crowded table), use the first three letters without a full-stop (Mon, Tue; Jan, Feb). If abbreviations are used in a figure or table, they must all be defined in the caption or in a Table note/footnote even if they are also defined in the text. Do not use abbreviations invented by the author of a paper for that paper – ideally, only conventional, generally accepted abbreviations should be used. Tables do not need to be a full column width or page width, but should be the appropriate width for the content. Table headings should be left aligned, even when they relate to multiple columns, unless this creates confusion. Tables should only have minimal horizontal rules for clarity, and no vertical rules. All tables should be numbered consecutively and cited in the text as Table 1, Table 2 etc. (Table should be spelled out in full, not abbreviated). Table permissions: any tables reproduced from another publication need permission. In cases where those publishers listed on the STM permission Guidelines page (). Source: in cases where permission is required and has been obtained, this should appear below the table in the following form: Source: reproduced with permission from publisher, year, reference number (Vancouver), author, date (Harvard). General notes to the Table should be positioned below the Table, typeset in a smaller font and should start ‘Note:’, and end in a full stop. Do not add the word ‘Note:’ unless needed for clarity. Footnotes should be represented in the table by superscript letters a, b, c, etc., and appear below the Table (smaller font, TS will format). Each footnote should start a new line and end with a full stop. These notes should precede the source for the table, if included. Captions are positioned above the table and left aligned with 9-font. Normal text in columns should always be left aligned. Data in tables should be aligned on units if all the data in that column take the same units. Otherwise, the data should be left aligned. Units in table headings should be enclosed by parentheses, not square brackets (if any brackets are required at all). Title of journal is written according to abbreviation of Index Medicus. If not have Index Medicus, to fill in an the whole title of journal. STM: All figures should have a key line (i.e. be enclosed in a box). Figures should be appropriately sized. They do not need to be a full column width or page width. Figure permissions: any figures reproduced from another publication need permission. In cases where those publishers listed on the STM permission Guidelines page (http://www.stm-assoc.org/permissions-guidelines/). Source: in cases where permission is required and has been obtained, this should appear below the caption in the following form: Source: reproduced with permission from publisher, year, reference number (Vancouver), author, date (Harvard). Any abbreviations needing to be spelled out should be listed after the caption, starting on the next line, in the following format: IC: internal combustion; PID: proportional–integral–derivative). Captions are positioned below the figures and left aligned. Where figures have multiple parts, these should be labelled as (a), (b), (c), etc. (not A, B, C). Captions should contain subheadings for all parts if not present in the figure itself. All figures should be numbered consecutively and cited in the text as Figure 1, Figure 2 etc. (Figure should be spelled out in full, not abbreviated). Figures should be in black ink on heavy white paper with special attention paid to clarity. A separate sheet of paper should be used for each figure legend. The storage type of a figure is jpg, gif, tif, etc, and printing must be in good condition. When publish paper, figure is grey color, but if you want to color figure, additional cost shall be borne by the author. Text citations: figures should be referenced in the text as follows: Figure 1, or Figures 1 and 2, or Figures 2 to 4, or Figure 1(a) and (b), or Figure 2(a) to (c). Where the figure citation is not part of the sentence it should be placed in parentheses. Number of table and figure should be limited to five. The title of table and figure clearly describes the form as clause or phrase, and the first letter of sentence is written in capital letter. Write the title at the top of the table and a explanation for the table is described at the bottom. When making a table, thickness of line use the default value and do not use vertical line. In the content of table and figure, the content of the text not will be list duplicate. You should be to mark the points of emphasis by using the arrow etc so that the content of figure and picture can be easily understood. Record the method of staining and proportion in photomicrograph. The capacity of the entire paper, including figure, shall not exceed 5 megabyte. - The copyright of published paper belongs to The Journal of Korean Society for Neurotherapy. The peer review process is essentially a quality control mechanism. It is a process by which experts evaluate scholarly works, and its objective is to ensure a high quality of published science. However, peer reviewers do not make the decision to accept or reject papers. At most, they recommend a decision. At peer-reviewed journals, decision-making authority rests solely with journal editors or the journal's editorial board. Indeed, it is the journal editor who is considered to be central to the decision making process. Typically, after a paper is submitted to the Korean Society for Neurotherapy journal, a journal editor screens the manuscript and decides whether or not to send it for full peer review. Only after clearing the initial screening is the manuscript sent to one or more peer reviewers. Finally, journal editors or the journal's editorial board consider the peer reviewers' reports and make the final decision to accept or reject the manuscript for publication. The editor will determine the disposition of the manuscript based on remarks of the reviewers and the editor's own assessment of the manuscript making the final decision to accept or reject the article. The editor's recommendation must be well justified and explained in detail. If the editor's recommendation conflicts with the reviews, or if the reviews conflict with each other, editors must be careful to explain the basis of their recommendation to help avoid an appeal of their decision. In cases where revisions (major or minor) are requested, these should be clearly indicated and explained in the "Comments to Authors" section of the recommendation form. The editor must then promptly convey his/her decision to the author. The author may contact the editor if instructions regarding amendments to the manuscript are unclear. The editor should be sure to never disclose the names of reviewers to authors. An accept decision means that an editor is accepting the submission "as is" with no further changes required by the reviewers. In this case, the Editor will forward the decision to the Chief Executive editor. The Chief Executive Editor will notify the author and editor of the decision and guide the author in the final submission and further production. The submission will not be seen again by the editor or by the reviewers. A major revision decision means that the submission should go back to the original reviewers for a second round of reviews. If a major revision is recommended, the editor will directly inform the author to make and return the revision to him/her for a second round of reviews. Major revision must be accompanied by a letter from the author indicating the main modifications and how the concerns stated by the reviewers have been addressed in the resubmission. A minor revision decision indicates that the article need not go back to the reviewers. The author will be informed by the editor directly, and will send the revision to the original editor together with a short summary about the modifications made and the author's response to reviewer's comments. The editor will evaluate the revision and make a final Accept/Reject decision. The manuscript is not suitable for publication. The editor may otherwise choose to forward the decision to the Chief Executive Editor who will contact the author with this final decision. In any case, comments should be provided by the editor and returned to the author. The editor rejects the manuscript without assigning it to reviewers due to significant deficiencies. There is no rule against a second major revision as such; however, we strongly advise against it since the authors were already given specific instructions in the past and did not fulfill the requirements. If a major overhaul is required to the current version of the paper before it can be considered for the journal, we suggest closing the current file and recommending rejection. This will give the authors an unlimited amount of time to thoroughly revise their paper and resubmit it as new. This may be an alternative decision to asking for a second major revision. If you wish, we can instruct the authors to request the same editor be assigned to their new paper, increasing the chances of an expedited review. The person using The Journal of Korean Society for Neurotherapy Online may use, reproduce, disseminate, or display the open access version of content from this journal for non-commercial purposes. Any use of the open access version of this journal in whole or in part must include the customary bibliographic citation, including author and publisher attribution, date, article title, The Journal of Korean Society for Neurotherapy, the URL http://www.kbobath.com/bobath/neurotherapy/journal/main and MUST include a copy of the copyright notice. If an original work, is subsequently reproduced or disseminated not in its entirety but only in part or as a derivative work, this must be clearly indicated. For any commercial use of material from the open access version of the journal, permission MUST be obtained from The Korean Society of Physical Therapy. Re-use by a non-author/third party/other publisher of parts of or all of an article or articles in another publication(journal or book) to be sold for commercial purposes. The proactive supply of multiple print or electronic copies of items taken from the Journal to third parties on a systematic basis for marketing purposes. Re-use by an author of parts of or all of an article in other publications from commercial organizations. college of Neurotherapy sung nam si.